We all know Apple is quite secretive about its products; well to be honest almost every manufacturer is these days. 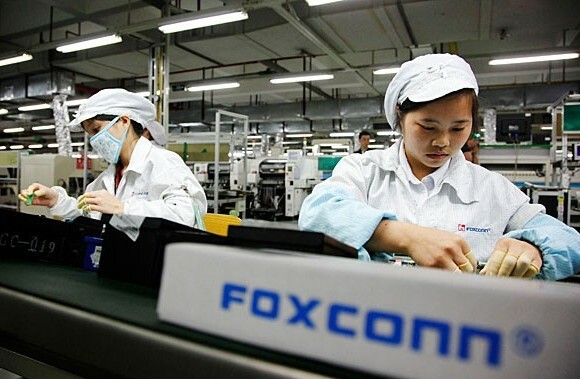 But thanks to iFeng, a video has been released which shows you inside Apple’s Foxconn factory in China which produces about 70% of all the iPhones. The video shows a Chinese reporter from iFeng and Foxconn CEO Terry Gou taking a tour of the iPhone production line. First the size of the factory is shown from an aerial view on top of a helicopter where Mr. Gou mentions some facts about the factory, including the area covered which is around 5.6 square kilometres and it has the largest living area for its 1,15,000 workers. Also, the area around the factory which is referred to as a wasteland, will be used for the expansion of the factory. Inside, production of the iPhone 4S is shown where Gou says that the factory is better than any of the production in Japan, Germany, US and elsewhere. Then the area where the motherboards are manufactured is shown which produces 10,000 units a day. Then they step through a cleaning chamber and into a clean-room where the cameras are assembled.